Is everyone tired of all of this snow? Another storm hit us on Tuesday (February 12/19) so I had a smaller class. We just danced and I did some reviews and we started to learn how to do “Applejacks”. Are you practising? Hopefully the weather will be better next week. See you then. Happy New Year. I wish everyone love, happiness and good health in 2019. And of course, lots of dancing! A big thank you goes out to all of my students for a fantastic Christmas Party at our class on Tuesday. We had fun, the food was delicious and plentiful and the outfits were an added touch. And a big thanks for my Christmas gift – everyone is so thoughtful and kind. A big hug to everyone! Have a very Merry Christmas and a Happy New Year. Remember we are finished classes for 2018. See you again when classes start again on January 8, 2019. 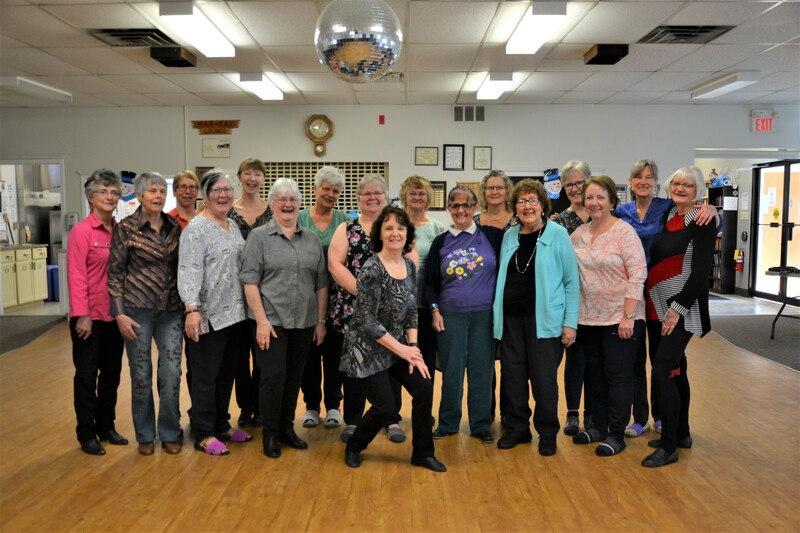 Next week (November 27/18) is our last line dance class for 2018. We are having a small Christmas Pot Luck Lunch – finger foods, etc. (no hot items – we are not using the kitchen). Tea and coffee will be available. Plates and cutlery will be supplied. Please join us for dancing and fun! Classes resume on January 8, 2019. Just a reminder – we take a break for the month of December – no line dance classes. We will start again on January 8, 2018.